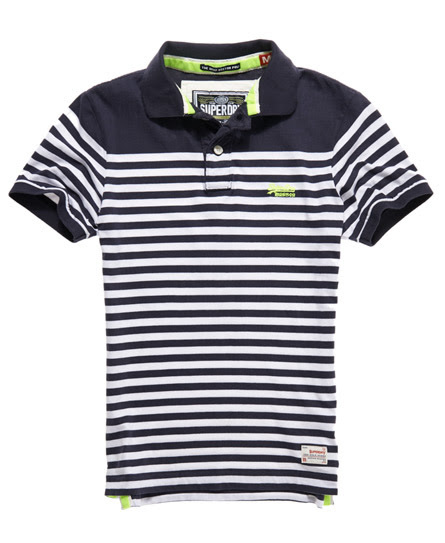 Superdry men’s Dropped Breton Stripe polo shirt. A classic jersey polo shirt in a striped design, featuring an embroidered logo, velvet lined collar, reinforced side seams and a hem logo patch. 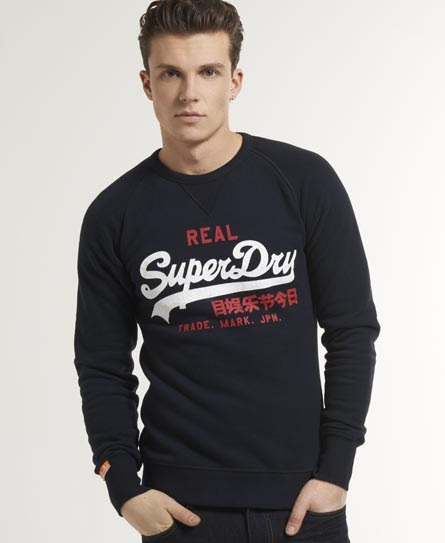 Superdry men’s Vintage Logo crew neck sweat top. This crew neck sweatshirt features the iconic ‘Real Superdry’ logo in a two colour cracked finish and is finished with a Vintage Superdry sleeve logo tab. Superdry men’s Vintage Logo Duo hoodie. The classic hoodie featuring a cracked two colour version of the iconic Real Superdry logo design. This hoodie also features a drawstring hood, front pouch pocket and a sleeve logo tab. Superdry men’s Vintage Logo Tri Colour t-shirt. A classic crew neck t-shirt featuring a three colour raised logo print design and a Vintage Superdry sleeve logo tab. 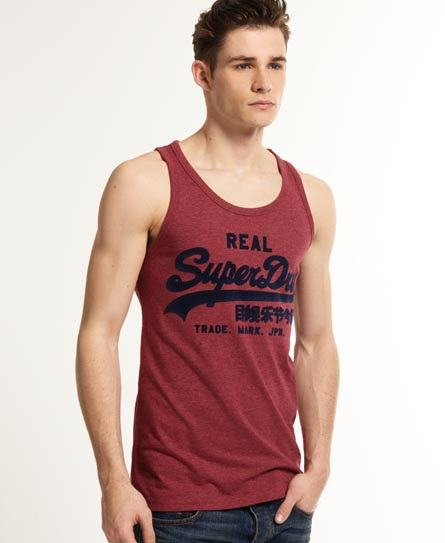 Superdry men’s Vintage logo vest. A classic vest top featuring a flock printed version of the iconic logo. Superdry women’s Vintage Logo t-shirt. The iconic t-shirt from Superdry. A classic crew neck t-shirt featuring a two colour cracked logo print design and finished with a Vintage sleeve logo tab. Superdry women’s Vintage Logo Dip Dye Vest Top. A classic design vest top in dip dye fabric, featuring a cracked print chest logo. Superdry women’s Vintage Logo Duo hoodie. 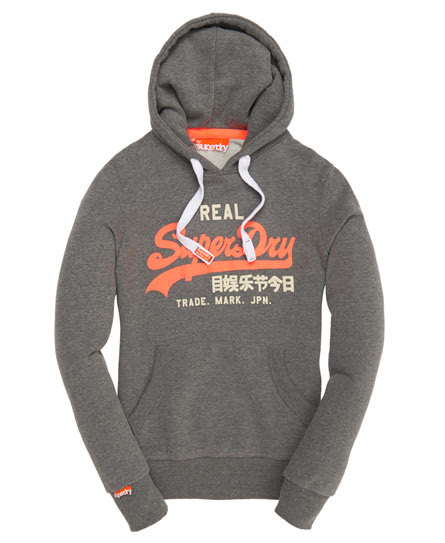 The classic hoodie featuring a two colour puff print version of the iconic Real Superdry logo design. This hoodie also features a drawstring hood, front pouch pocket and a sleeve logo tab. 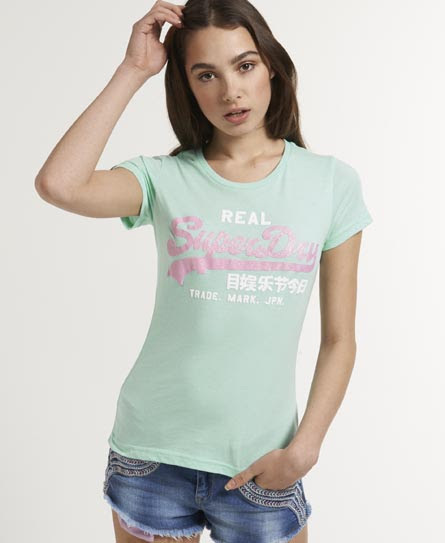 Superdry women’s Vintage Logo t-shirt. 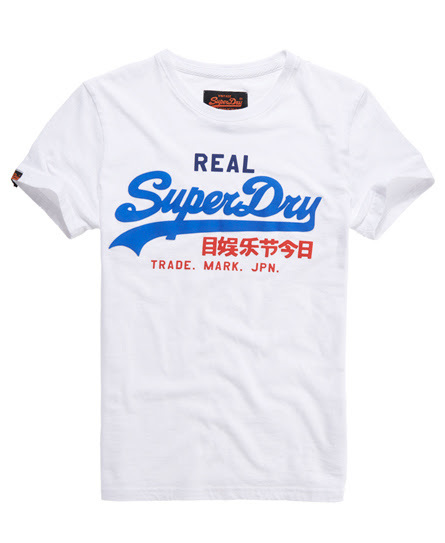 The iconic t-shirt from Superdry. A classic crew neck t-shirt featuring a two colour raised logo print design and finished with a Vintage sleeve logo tab. 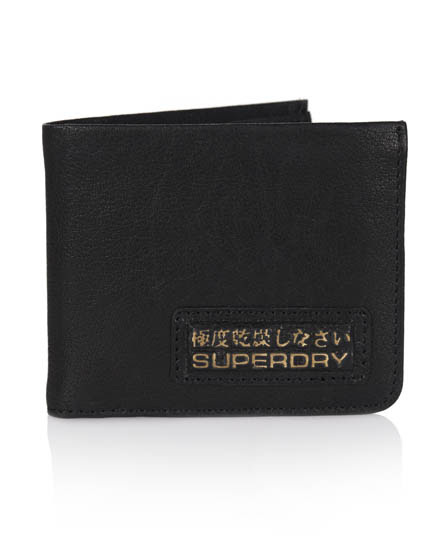 Superdry Bi-fold wallet. Keep your things in order with this classic leather wallet featuring a note compartment, six pocket card holder and logo badge on the front. 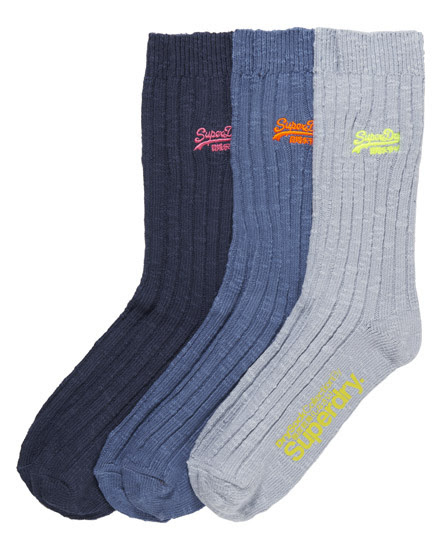 Superdry men’s Dry Boot Socks. A triple pack of socks in ribbed fabric, featuring both an embroidered and printed logo on each sock. Superdry men’s classic leather belt in a circular presentation box. This leather belt is a classic yet simple belt with a metal buckle, featuring an embossed logo and stitching detail. 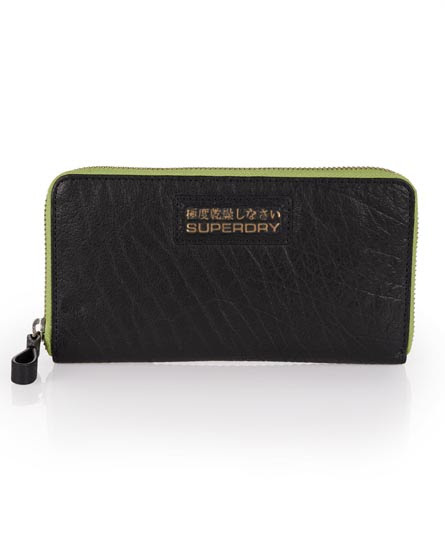 Superdry women’s Long Zip Wallet. A classic design zipped leather purse featuring contrast stitching and logo badge. Inside, this purse features an inner zipped compartment, multi card slots and a contrast colour part lining. Superdry women’s Commodity Socks. 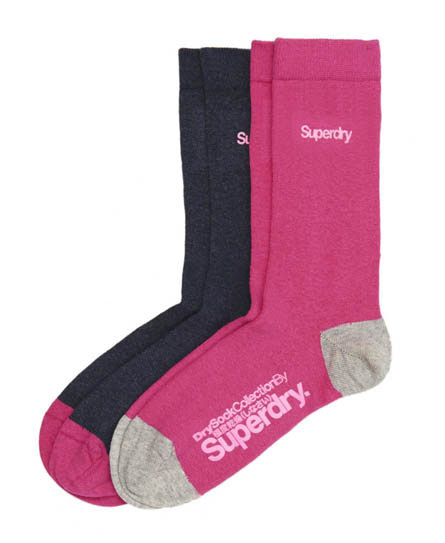 A twin pack of cotton rich socks featuring a printed ‘Superdry’ logo in relief on the ankle. 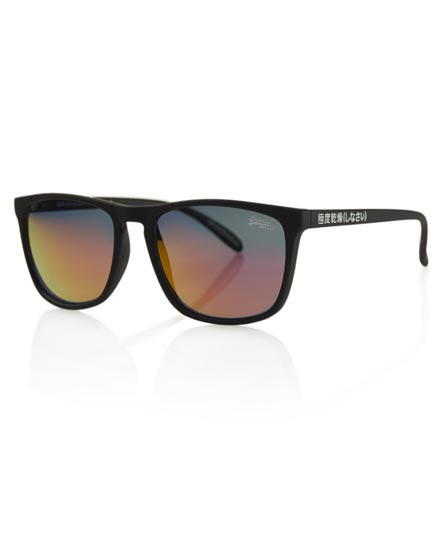 Superdry Shockwave sunglasses. Classic design cats-eye style sunglasses featuring branded frame and left lens. Come complete with cleaning cloth and branded case with hook & loop closure. 100% protection from harmful ultraviolet rays (UVA and UVB). If you have any questions about the Vintage specials, or would like to know anything else about about the Vintage specials, please get in touch and feel free to tell us!